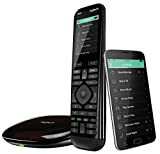 The Logitech Harmony Elite Remote Control is by far the best universal remote Logitech has ever made. 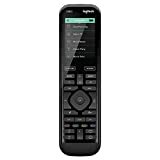 “Elite” isn’t just a name, in this case — the remote is an absolute powerhouse that packs in every feature you could ever want but somehow isn’t overbearing or difficult to use. It’s on sale this week on Amazon for $100 off, matching its lowest price ever. And if you want to save even more money, you can get a refurbished Elite for just $208!